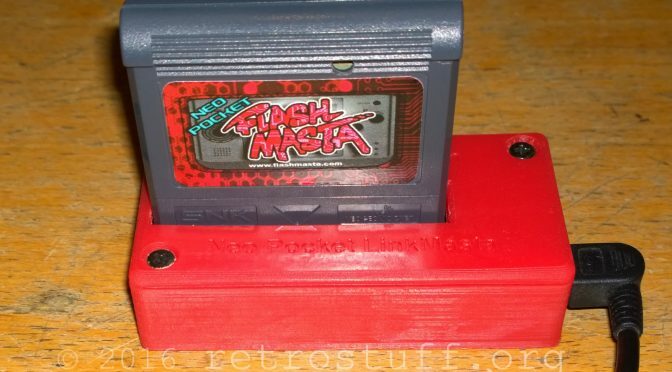 Two days ago Flavor of flashmasta.com anounced the pre-presale of a new WonderSwan flash cart: The WS Flash Masta. For all Bandai WonderSwan owners this is exiting news as the flash/development carts for this system are very rare and expensive (e.g. the official WonderWitch or the WonderMagic Color). First there was the Neo Pocket FlashMasta and the Neo Pocket LinkMasta. I’ve used the Blue Version of the LinkMasta since 2011 and bought a new red 3D printed case for it last year.